Photos on our photo gallery: The start…. On the road…. The party…. 175 cyclists took part in this years Cycling Classic which again ran from Carrigaline to Dungargan. Over the past 18 years, this event has raised over €500,000 and this year was the most successful yet raising over €50,000 for the various beneficiaries including Marymount Hospice, ARC Cancer Support and the Hope Foundation. Following the official start by Minister for Foreign Affairs, Micheál Martin, the cyclists left Carrigaline last Saturday in bright sunshine. 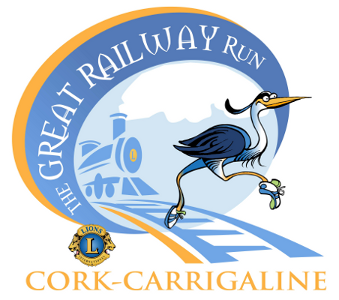 The route took them through Raffeen and Monkstown to Glenbrook where they boarded the Cross River ferry to Carrigaloe on the Cobh side. They then made their way across the Belvelly bridge past Fota and on to the main Waterford road at Carrigtwohill. The main bunch of cyclists were acompanied by cycling legend Sean Kelly who provided much needed inspiration for those with flagging legs. A ”soup kitchen” was set up at Youghal bridge where soup, sandwiches and choclate bars were dished out to the cycling masses. After that, it was a series of long hills before the final decent into Dungarvan and Lawlors Hotel for some well earned refreshment. The first cyclists arrived in Dungarvan at 2pm, less than three hours after leaving Carrigaline with the last of the stragglers arriving in about 4:30pm. A big thanks to all participants and their sponsors whose generous fundraising effort will benefit Marymount Hospice, ARC Cancer Support, Hope Foundation, Senior Citizens and other Lions Club Charities. Thanks also to our main sponsor Kellogs Ireland, road sponsor Ulster Bank and Cross River Ferries for their support.